Our star will expand into a red giant in about 4.5billion years. At this point will extend to 0.8AU or more. 500,000 years later it will shed the outer layers of gas(think of it like an onion) and the end result will be two things. 1: a planetary nebula 2: a White Dwarf A white dwarf is the core of the star and since it was the core, it is still very very very hot. It can easily be about 40,000K which is about 4000 x the boiling point of water. Since these objects are no longer generating heat they’re cooling down. But since space has no air they only way they cool down is via radiating the heat out. The time it will take for a white dwarf to cool to 2K is over 10,000,000,000,000 years, yup. They will take longer to cool than the universe has been around for. In the future when their is not enough Hydrogen to form any new stars the only thing that will be left is these white dwarfs. Once these reach 0K the universe will be dead, black. What Is Your Future? ~ What Does It Depend On?
" When you see a cloud rising in western places, you immediately say: 'It is the time', and it happens. And when you see a south wind blowing, you say, 'There will be a heat wave,' and it happens. Hypocrites, you know to examine the appearance of earth and sky, but why do not you know look at this particular time? "- Luke 12: 54-56 From the first article in this blog wanted to distance itself clearly from all those sites and polemical blogs created solely as a safety valve and cast a shadow on the governing body or the people of God as a whole. Many of these, though not all, are the expression of the frustration of some for losing certain positions, visibility and below. We do not reveal any mystery by asserting that some are puffed up with pride thinking of always being right and being invested supreme authority - 1 Timothy 3: 6 We do not even say nothing strange if we say that some people, seeing recognized their merits, real or perceived, on the job or elsewhere, have seen in the "theocratic assignments" a kind of redemption. One way to demonstrate the "worth something" - Psalm 18:27; Proverbs 6:16, 17 For this and other reasons, when some have seen the collapse of all their "dreams of glory," they thought to start a smear campaign against God's people and also have the pass to do anything - 2 Peter 2:22 Apart from these, you have to recognize or admit the possibility that there are people who have opened sites or blogs contentious because they suffered real injustice or clashing sincerely from a scriptural point of view - John 9:34; Revelation 2: 4, 20 If anyone re-discuss openly the "doctrine" of 1914, for example, would sooner or later expelled from the congregation if they did not fit immediately into the ranks. It would be presumptuous to think that the reflections made in this blog on the 1914, as well as on other subjects, are not already been done by others. Although humanly speaking the author of this blog is close to all those who have been expelled not for a repeated offense but because of his own conscience on biblical themes, none of us has the authority to denigrate, insult or alienate others by the people which, net of all faults and limitations , it is still God's people. That each of us to reflect seriously on the words of the Lord when he said what we find in Matthew 18: 6 So, as much as depends on us and as long as Jehovah will show us clearly something else, no one let the people of God because if within the His People there will be severe discipline (also because of those who were unjustly expelled - compares Giovanni 16: 2), outside of His People there will be something else. Of course, situations may arise in which we listen to our conscience - Romans 14: 5 To avoid this sad event, we are encouraged to be "cautious as serpents" also to our brothers - Matthew 10:16; 24:10 For the moment we can share many things with our brothers including the preaching work, attendance at meetings, etc., without necessarily having to collide on the 1914 or Babylon the Great. So, reiterating the concept, regardless of the GB and errors of God's people as a whole, a blog or website for purely polemical can not be considered a viable option for those who love God and sincerely studying His Word. We should also ask ourselves "What gave me" a site after reading an article that mentioned what is wrong and even make it a novel is the easiest thing in the world * (see footnote). This introduction was necessary to explain the following article because the reasons could be easily misunderstood. 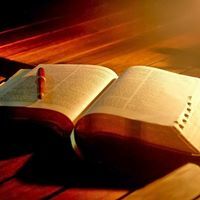 As we saw from the very first articles, though this blog is dedicated to the prophecy, it was not possible to treat the prophecy without touching some doctrines associated with them. The Word of God has such a strong internal consistency that is not reasonable to believe that he could explain the prophecies of Revelation (and other prophetic books) without touching the doctrine of the resurrection (which will happen at the end of the millennium and not during), the order chronological or not the book, the "doctrine" of 1914, the seven days of the dream of Nebuchadnezzar and so on. For this reason you will find after not purely prophetic that was inevitable anyway to deal hope to understand something more about the prophecies. This highlights one of the reasons why some will never understand the prophecies in spite of the efforts: the inability or unwillingness to renegotiate certain doctrines that are upstream. On the same principle we must necessarily realize that you can not move forward in the understanding of the times in which we live and those who arrive without touching the sensitive topic of "governing body" or "quality of spiritual food." This has already been done, more or less soft, in several previous post (see for example the article entitled "Restoration of true worship. Dress clean for the High Priest"). At least with regard to the current understanding, the prophecies do understand that the "light" to lead the people of God (which is clearly not the Bible or it may not be less - Psalm 119: 105) will turn off for a certain period of time and this will serve to lay bare the depth of our relationship with Jehovah - compares Isaiah 28:16 So it does not be surprised if before then that the light begins to fade. Many of us have noticed that certain topics are not touched for years and that on certain issues it is more elusive than before. In return, all the paper work which involves legalism for appointments, discipline, legal protections and various committees have greatly strengthened - Psalm 127: 1, 2 So the following article is of course a critical and will be targeted to the specific material , but everything will be done remembering who we are (Romans 3:23, 24; 1 Corinthians 4: 7) with the sole purpose of reflecting as part of prophecy is already fulfilled before our eyes - 1 Corinthians 14: 8, 9 The reader is invited not necessarily share the article but at least compare the scriptures mentioned and to consider whether the arguments are brought forward with logic. Â The following article will cover part of the Watchtower in October 2017. The article is titled "Visions of Zechariah: because there concern?" Â A vision does not understand something more of a command or a need? Â Â Since the beginning, we can focus on the questions listed in the first paragraph. Why Jehovah gave to the prophet visions so unusual? In what situation were the Israelites at that time? What do we learn today from those visions? Â The questions are certainly deep and detailed so that we isolate some notable points to see how we have tried to give an answer. After a brief explanation of the background and necessary (paragraph two), " Jehovah assured them that would help them restore the true worship" (paragraph three). Let us pause a moment and reflect on these words. He took for themselves, without knowing anything of Zechariah, the book and the time in which it was written, one would think that the theme that will be developed will focus precisely on how Jehovah will restore true worship. Doing disquisitions on whether past or future fulfillment of these words, should not talk about this? Among other things paragraph confirms that this will be the sixth and seventh vision and this would appear to suggest that these visions reveal details on how Jehovah will do this. Besides a vision should include something more of a command; the same ten commandments and all the Mosaic law did not need a vision that was dictated and that the Israelites understood the requirements of the Most Almighty and moral norms that should have respect. Instead the following paragraphs, although the steering wheel scroll vision written in front and behind is "very special", they say that "God will punish whoever steals and among Christians there is no place for any kind of theft." Zechariah really needed a vision to understand that God does not tolerate the theft? Apart from that, as we have said, it seems strange that a vision is limited to this, but the question we should ask is ... "Zacharias did not know that Jehovah does not tolerate the theft?" - Compare Exodus 20:15; Leviticus 19:11, 13; Proverbs 11: 1; 20:23 It 's unusual for a prophet of Jehovah but also the rest of the people had to remember a need so obvious, present even in the most primitive human legal systems. It would not be sufficient to read "the book of the law" as in the past it was done and how the law itself provided? Until the end of paragraph seven, there is not the slightest indication that this vision can have a deeper explanation and that can be applied particularly in the future. The subsequent paragraphs remain the same "conservative" line. We should not swear falsely, and the promises made to Jehovah - compares Leviticus 19:12; Numbers 30: 2; Ecclesiastes 5: 5, 6 The next vision is even more interesting. Â Even the arrival city has no prophetic significance? Â From the subtitle "The evil is put in its proper place," we can see how the vision that perhaps leaves Zaccaria "horrified" with all its details, it "makes it clear that Jehovah will never tolerate any form of evil within his people and will ensure that it is eliminated quickly. " Then women with wings stork carrying away the mingled with evil in the land of Shinar, underline this aspect. Why they choose Sinar and not Nineveh, for example? Because "Israelites them have thought that Sinar was the place where relegate Evil. Zechariah and his contemporaries Jews, in fact, they could confirm that Babylon wickedness was widespread." Again the vision of the container, the evil woman, women with wings stork and the country of destination have no special meaning, much less prophetic. It must be said that if we had dealt with this issue even thirty years ago, maybe someone would begin to calculate the distance between Jerusalem and Sinar to find some correspondence with some meeting or resolution modern or past. This article is definitely more conservative than those of a few years ago ** (see note below) but it really is prudent that we see in this article, or something else? We try to be very objective without hiring a team cheer attitude. Do we really think that Zacharias had seven visions in such a special time, to learn that Jehovah does not tolerate theft, falsehood and evil? Do we really think that the restoration-of true worship has nothing to do with our days? If we had started from chapter four instead to section five, we would not perhaps have inevitably head towards Revelation? - compares Zechariah 4: 2, 3 and Revelation 11: 4 Zechariah chapter four he not also speaks of the restoration-of true worship, just as do the five chapters and six? If Zechariah and Revelation are connected, even if only in part, we would not have had to reflect on the identity of this "evil woman" which, incidentally, is transported in the most important city of Babylon that "to his own place"? Â We said that the article is not intended as a criticism for its own sake so that everyone will have to make their own assessments in the light of the scriptures. Certainly, as we have seen in the articles entitled "We are staggering like drunks?" and "Approaching Storm", we can understand "how far we are" the discipline of Jehovah, and also understand the reasons why he decides have to discipline there meditating on these aspects. If they make a reason all those who believe that the withdrawal of the books "Pay Attention to Daniel's Prophecy" and "The Revelation Its Grand Climax" was the prelude to a new version with "new light." Indeed, there is to be afraid to imagine the explanations that may be. However, those who really pay attention to the prophetic word, they have no reason to be discouraged or be upset. If the light of a certain guide goes out, we have a guide that will never disappoint - Isaiah 40: 8 It 'important and urgent than ever, particularly in view of what will happen, become independent in our research and sharpen our power of reason - Romans 12: 1 We must also realize the responsibility that entails some knowledge. We must help not those who have become critical for bias and with whom you can not think and even those who can not and do not intend to call into question every truth imposed from above - Matthew 15: 6 We must help those who can still asking questions that do not come from the organization or even close their eyes to what is going to happen. We do not know to what extent the people of God will reshaped , but up to the revelation of the two witnesses in sackcloth this will continue to be the people of God and in any case, whatever happens, let us cling tightly to the Word of God that is the only truth - John 17:17 Recalling the words of Jesus quoted at the beginning of this article, and keeping in mind that we are nobody and we have one thousandth of its authority , make sure not to become like those who were part of God's people and that they were recognized as authorities but at the same time, could not understand "their particular time." We do not seek excuses why everyone has a Bible and the basic knowledge to deepen the arguments. Let us not be too full of us, basking in our safety thinking that others will pay. We could wake up in a really unwanted. How would we feel if the Lord said, " You're a hypocrite" ? - compares Amos 3: 2 Â Â Footnotes. * This also applies to all those sites that say they are prophetic but are merely interpreting the past Jehovah's judgments to the people of God. This is also a fairly easy game. Â ** Just take a look at the book, no longer in publication "Pay Attention to Daniel's Prophecy" where virtually any number of days in the prophetic book were applied to assemblies, resolutions and publications. What if the future already happened? Future.....is a concept in and of itself. FUTURE OF FUEL? #NewHeavensAndNewEarth Trees for Biofuel Most of you have probably heard of using plant-based material to create biofuels; namely corn, sugarcane and switchgrass. Much like an investment portfolio, it is beneficial to mitigate your risk by diversifying your investment—in this case, feedstock. One of the lesser-known proposed feedstocks for biofuel conversion are poplar and loblolly pine trees (lignocellulosic feedstocks) as they offer competitive conversion rates, lower greenhouse gas emissions, and do not compete for food production space.